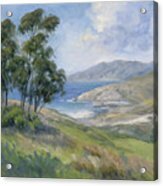 Little Harbor - Catalina Island Painting by Karen Winters - 8.000" x 6.250"
Little Harbor - Catalina Island Painting art print by Karen Winters. Our prints are produced on acid-free papers using archival inks to guarantee that they last a lifetime without fading or loss of color. All art prints include a 1" white border around the image to allow for future framing and matting, if desired. There are no comments for Little Harbor - Catalina Island Painting. Click here to post the first comment. SOLD - but I have more Catalina paintings at http://www.catalinapaintings.com. Overlooking Little Harbor on Catalina Island. 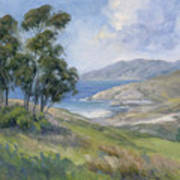 A tranquil marine seascape on one of California's channel islands. 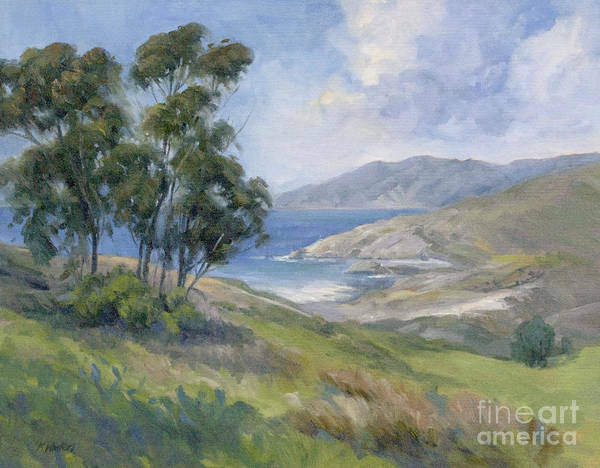 By California impressionist Karen Winters.